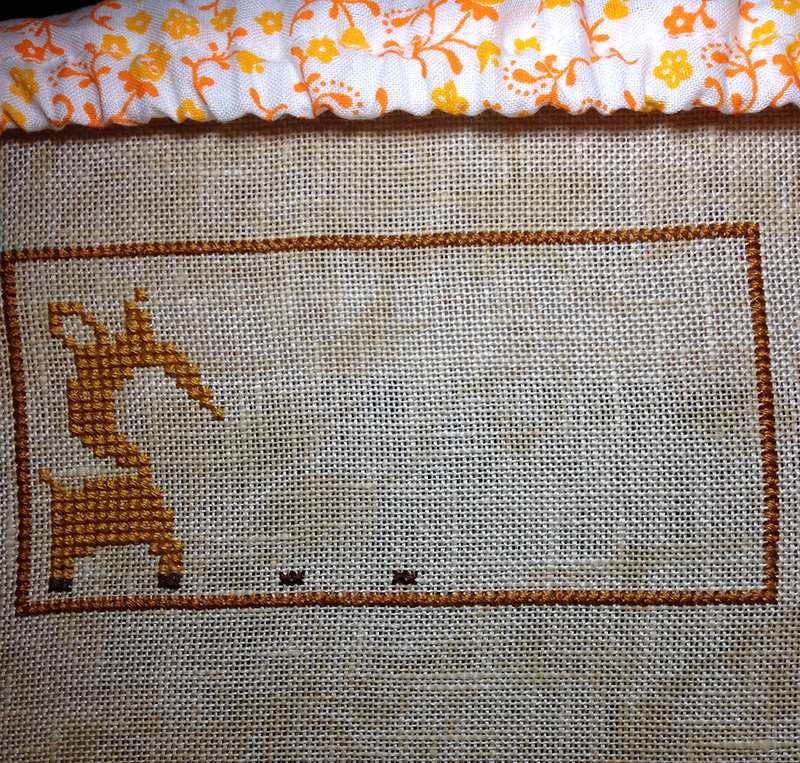 Ok, so I had been DYING to try my hand at stitching on linen. I couldn’t wait! Wednesday night I finnnallly got my chance. It was a little rocky… I was so nervous. I think I got about 40ish stitches down before I couldn’t stay away any longer. Thursday, I ended up pulling out all my stitches from the night before, and redoing it because I had stitches wrong in two places. I restitched 64 stitches. This is the beginning (January) block for the Woodland Sampler by the Frosted Pumpkin Stitchery on 32 Count Vintage Country Mocha Belfast by Zweigart 2 over 2. Anyway, been working today and hanging with the kids, now it’s time to relax and work on my sampler! Congrats on the “racino” win. Wow, $380! Glad to hear you like linen. I like all types of fabrics. I usually do my mailart on 18ct aida. JG is on evenweave, and my two recent starts are on linen, lol. Variety is the spice of life! Yeah! I totally still love aida, since 90% of my stash is kits with various aida counts – and it’s the only thing I have stitched on for the last 10-15 years! I’m so excited to branch out and work on other fabric’s though. Until I started getting involved in various groups and watching people’s videos on youtube I never really even knew you could stitch on fabrics outside of aida (silly me! ).